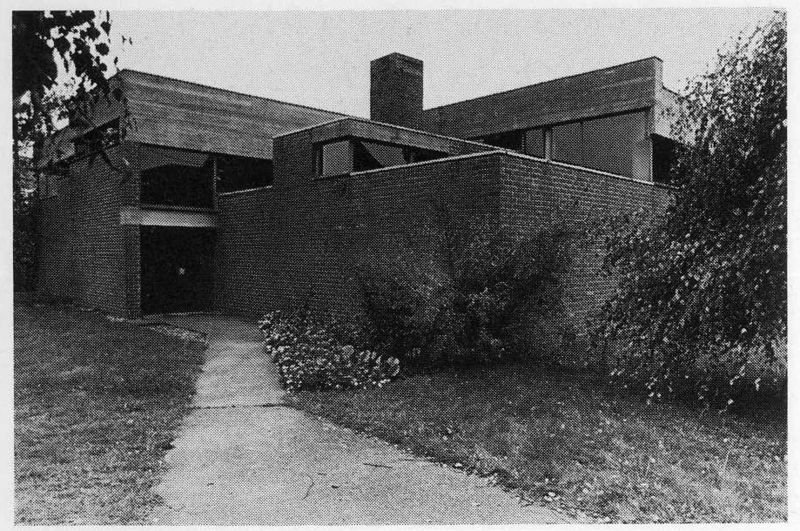 10:45 | Monastère de l’Alliance des Bénédictines de Rixensart, Roger Bastin, 1964-1969. 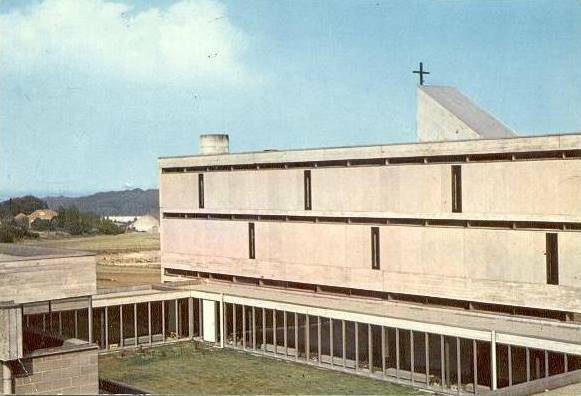 One of Bastin’s masterpieces, clearly illustrating the towering impact of Le Corbusier’s brutalist Couvent de la Tourette upon religious construction in the early 1960s. 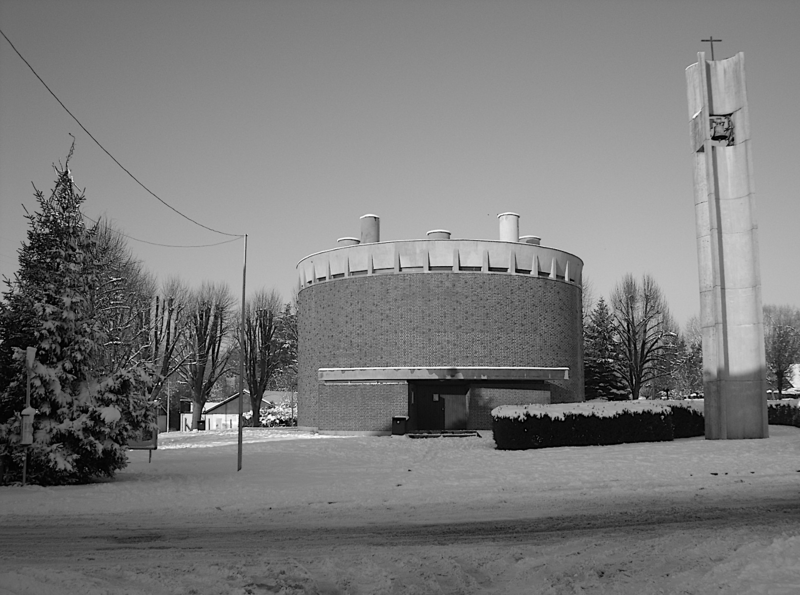 12:00 | Saint Pie Church, Ottignies (Pierre Pinsart, 1958). 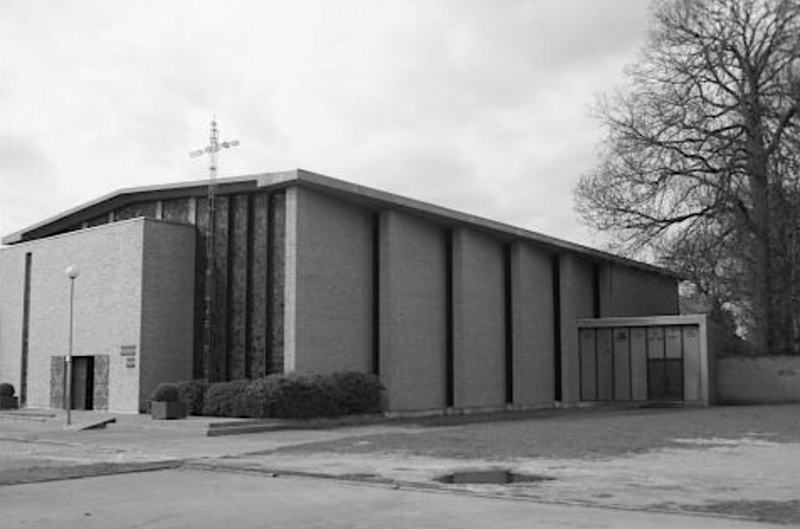 Designed by the French architect Pierre Pinsard, this chapel was originally attached to the Pavilion of the Holy See at the 1958 Brussels World Fair. 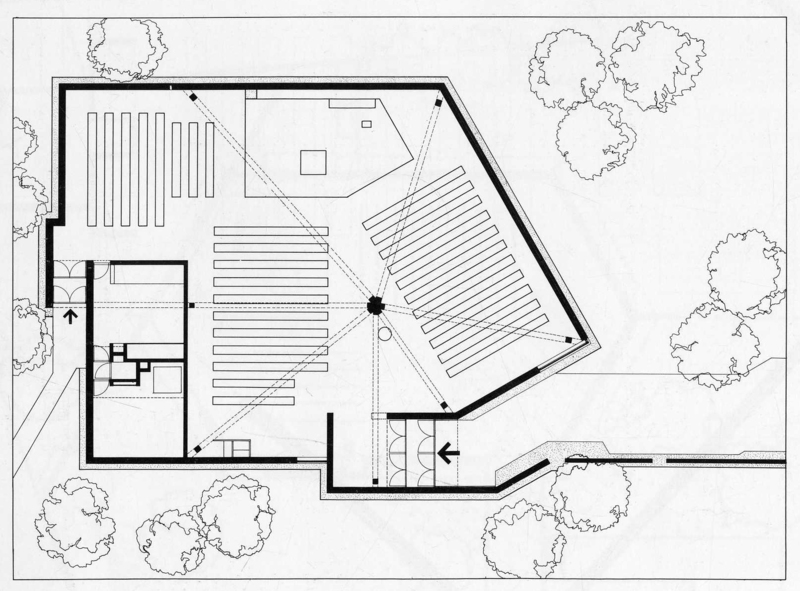 14:15 | Don Bosco Community Centre, Kessel-Lo (Marc Dessauvage, 1966-1970). 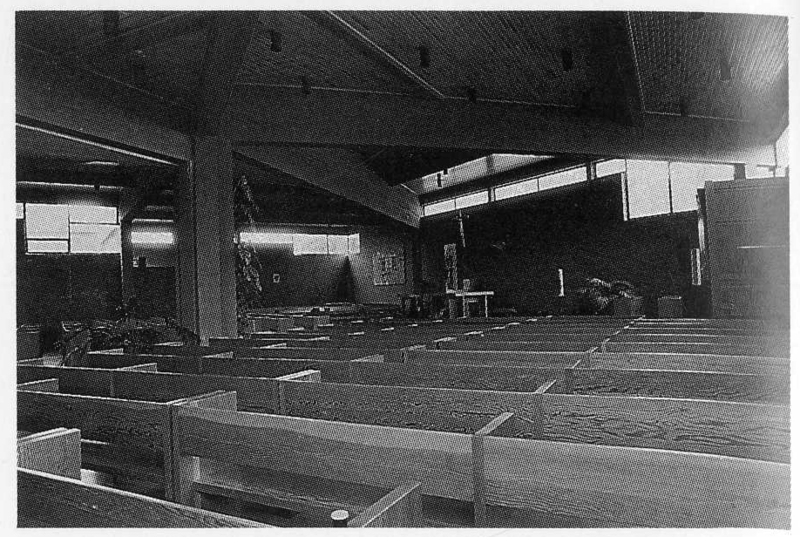 A radical example of the redefinition of the parish church as a community centre in the service of local associations and communal life, designed by one of the finest architects in 1960s Belgium. 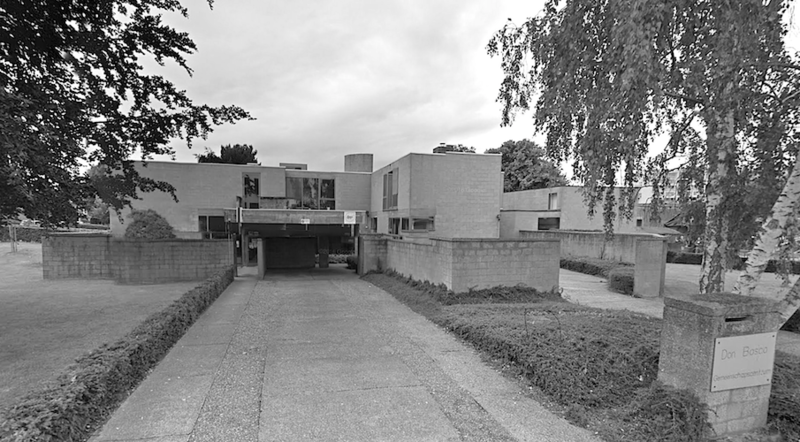 15:30 | St Carolus’ church, Holsbeek (Marc Dessauvage, 1964-1969). The epitome of the house-church as it became popular in the 1960s: no longer a monument dedicated to a triumphant God but a modest piece of religious infrastructure designed to act “as a house amongst other houses”. 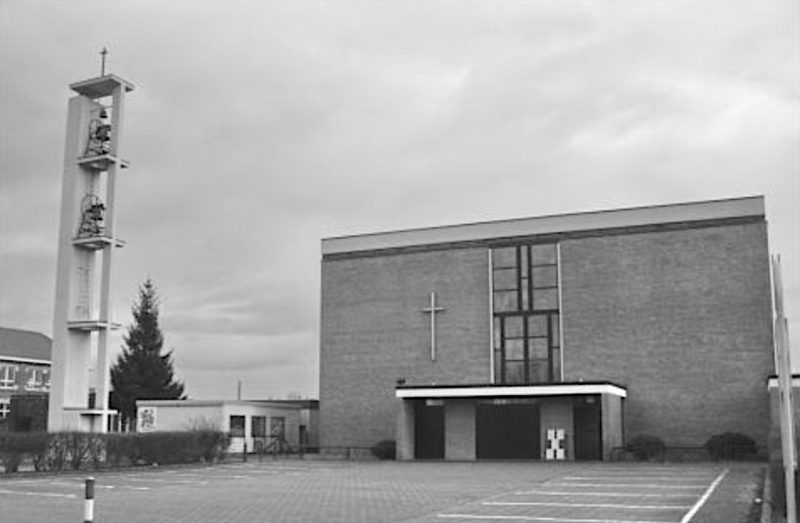 16:15 | Our Lady of Perpetual Help Church, Haacht (Paul Felix & Jan Tanghe, 1958-1961). No more than a simple orthogonal box at first sight, the simplicity of this design required great architectural and engineering skill nonetheless. 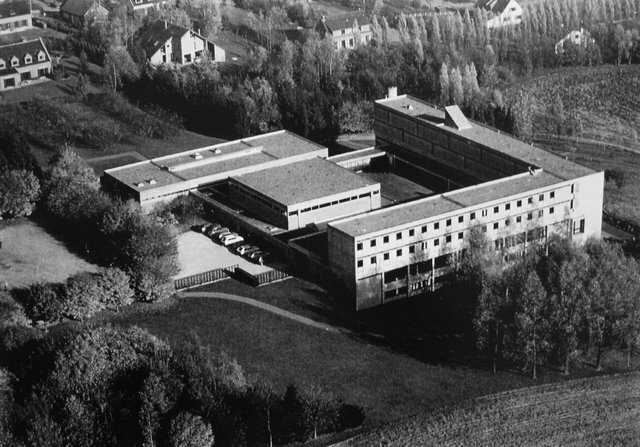 Its location and surroundings are exemplary for the relentless urbanization of the rural areas in 1960s Belgium. 17:00 | St Lambert’s Church, Muizen (Lucien Engels). The sole religious building by an overtly socialist architect, this church is an architectural poem of space and light with great respect for the ruins of the previous (bombed) church and the scale the intimate village square it broders.